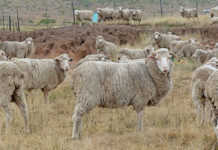 A wide variety of cattle breeds are seen in South Africa today, says Theo Oosthuizen. 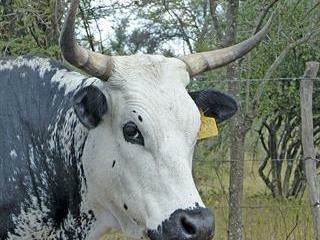 The Nguni is one of only four cattle breeds in South Africa native to the continent. the development of productive cattle, both in the dairy and beef sectors, with breed societies helping them obtain the best results. Some 80% of all cattle breeds in South Africa have been affected in some way by direct imports of breeds from the UK or Central Europe, or through crossbreeding to create more adaptive synthetic breeds. The first breed to be imported was the Shorthorn from the UK, back in 1861. The latest (at the time of writing) was the Chianina (pronounced Key-a-nee-nah) from Italy, which gained recognition in 2014 after nearly two decades in the country. 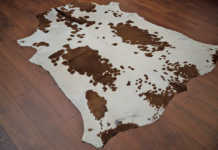 South Africa has only four breeds that are native to the continent – the Afrikaner, Boran, Nguni and Tuli. However, many South African cattle breeders have used European genetics after having identified traits needed to improve their herds. Farmers seeking better milk production usually use Dutch or Swiss genetics such as the Holstein and Braunvieh, or British genetics from the Shorthorn to improve their milk yield. Beef farmers look to either France or Germany for better meat traits from the Charolais or Gelbvieh. A good example of this is the crossing of European breeds with the Afrikaner to bring out the best qualities for the local environment and temperatures. These crosses are known for their adaptability and hardiness. Marbling in the meat is another key benefit gained from integration. These animals excel in the feedlot, with more than 54% derived from imported or ‘influenced’ breeds and getting better feed-to-meat conversion than local breeds. European breeds have generally adapted well to our grazing lands with little to no supplementation or additives, and thrive on the grass-fed approach to farming. Seedstock from Europe plays a vital role, as this is the most effective way to bring improvement into the herds, offering a wider selection of genetics, as well as keeping down the cost of rearing or sharing bulls. 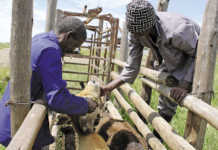 This form of ‘globalisation’ has been excellent for the progress of South Africa’s cattle industry. In turn, the considerable knowledge and experience that local scientists and breeders have accumulated over the decades has proved useful to the success of these breeds internationally. At some time or another in many societies around the world, quality cattle have been seen as a symbol of wealth and status. In fact, the word ‘cattle’ is originally derived from the medieval Latin capitale – the same word which gives us ‘capital’. According to the Online Etymological Dictionary, ‘cattle’ was a variant of ‘chattel’ and used to describe movable personal property, especially livestock of any kind, as opposed to property in the sense of land, which also included wild or small free-roaming animals such as chickens, which were sold as part of the land. For more information, email Theo Oosthuizen at [email protected]. Visit cattleinternationalseries.weebly.com.